November — 2017 — St. Finbarr's A.C. 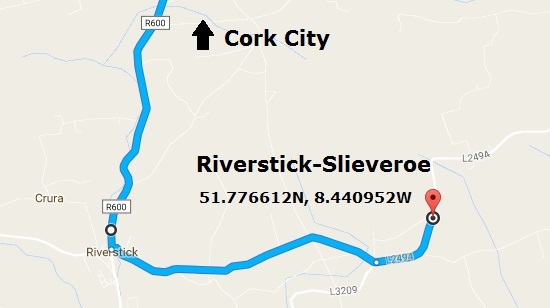 The County Masters, Novice-B & Juvenile Relays XC Champs 2017 will be held at the Cork AAI’s own Slieveroe, Riverstick venue on Sunday 5th November 2017. The race order is Juvenile events at 11:30am followed by Masters at 1pm, then Novice- B events. Note that the Start times may move forward or back! The venue, on the L2494 Riverstick to Carrigaline road. From Cork City, go to the Airport roundabout and continue for Kinsale on the R600. Turn left at Riverstick for Carrigaline. From Ballinhassig, head for Fivemilebridge and turn right for Kinsale. The route is usually signposted from Riverstick onwards. For those comming from the Carrigaline direction, take a right onto the L2494 for Riverstick shortly after leaving Carrigaline. The County Masters & Novice-B is held under AAI rules; participating athletes must be registered club members and wear a club Singlet. Transport will be available leaving the UCC Farm, Curraheen at 11.30am. We wish the very best of luck to all our athletes and supporters.